Banned Books Week is September 24th-30th, and we are so excited to celebrate our freedom to read with all of our book-loving community! This year, we get to share a special book during this celebration that tells the story of Miguel de Cervantes, author of Don Quixote and father of the modern novel. 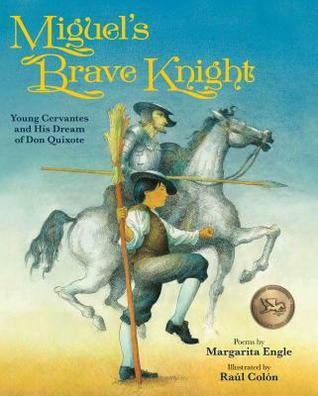 Fortunately for you, we have a Goodreads giveaway for a few lucky people to win Miguel's Brave Knight, written by Margarita Engle and illustrated by Raúl Colón. Don't miss out on your chance to get a copy this week during Banned Books week! Giveaway ends September 29, 2017.